I guarantee you have an eyeliner in your make up bag right now. I would also say its a safe bet that you have another one in your hand bag as well. There are loads of different types of eyeliners from pencils to liquids to gels but what type is right for your look and style? Well here at Pixie Keepsakes we have you covered. Just have a look at our handy guide to what type of eyeliner is right for you and of course you can thank us later. Pencil: This is the most forgiving type of eyeliner you can get. It can be blended without looking too messy. Some pencil eyeliners on the market with dry instantly and wont smudge when you are applying more. Our Top Tip. for a soft and defined eye then nestle the pencil in between your lashes for the best results. Gel: If you are making the transition from pencil to another medium then this is the perfect go between. It is a lot thicker than liquid so a slim line brush is a necessity. Just like pencil it dries really quickly. If you are someone who struggles with liquid liners then make the switch today to gel. Our Top Tip. Don’t leave the bottle open for too long or you will need to get yourself a new gel liner. 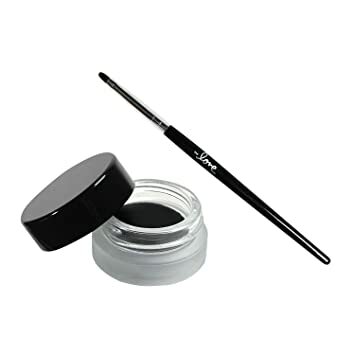 Liquid: A liquid liner is perfect for precise line that wont move. This however takes time so if you are rushing out the door then put the liquid liner down. You need a steady hand for this and make sure you have a drip proof jar. Liquid liner doesn’t dry as quickly as pencil or gel. Our Top Tip. When applying to your upper eyelash allow the liquid liner to dry before you blink. That way you will avoid making a mess of your eyelid and having to start all over again.